Two Rep Tests are required for this report. Panelist's Raw Test Data scores for each sample and rep is listed on one worksheet tab per panelist. Attribute descriptions are listed by rows. Rep Scores, Panelist Mean, Panelist Std Dev, and Difference in Rep Scores are listed by columns. Lower standard deviation values are preferable which indicate lower variation of data responses. Allows for optional RED numerics in Excel cell when Panelist Reps Std Dev value is not 1.0/1.5/2.0 or less. 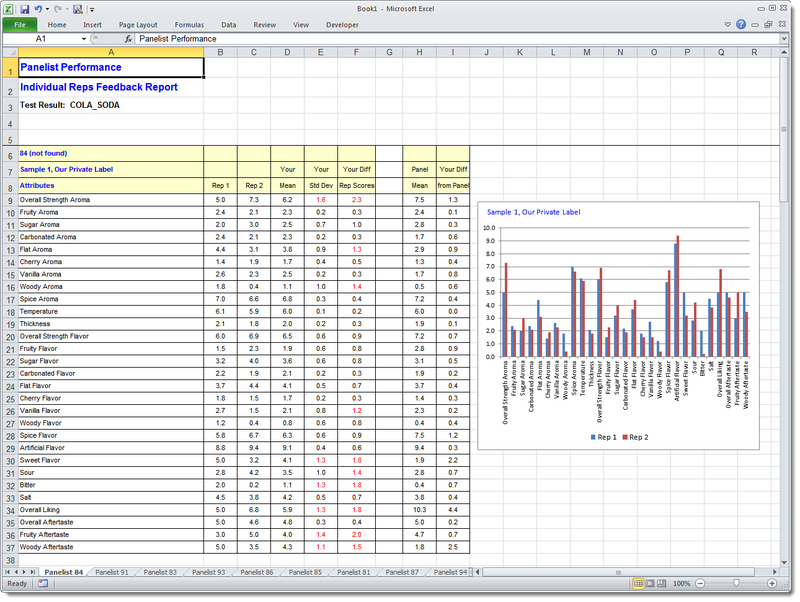 The frequency counts will be summerized on bottom of each Excel worksheet for each panelist. Allows for optional RED numerics in Excel cell when Panelist Reps Scores difference absolute value is not 1.0/1.5/2.0 or less. 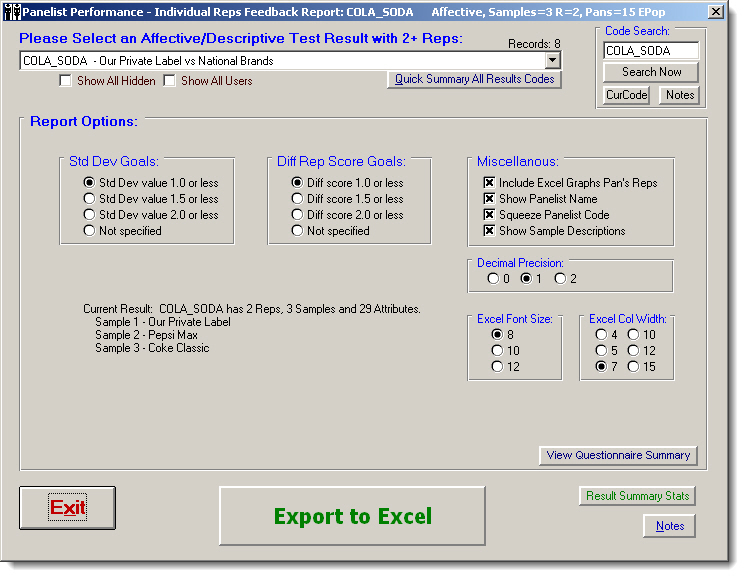 Generate cool graphs, 1 for each panelist and each sample, showing Reps scores for each rep columns. The report will create Excel Worksheet Tabs for every Panelist.